Deluxe leather-bound hardback notebook featuring debossed BFI Film Forever logo. With 198 ruled, numbered, pages, this notebook is bound in beautiful grainy leather, with a matching satin page holder ribbon and elasticated cover retainer. 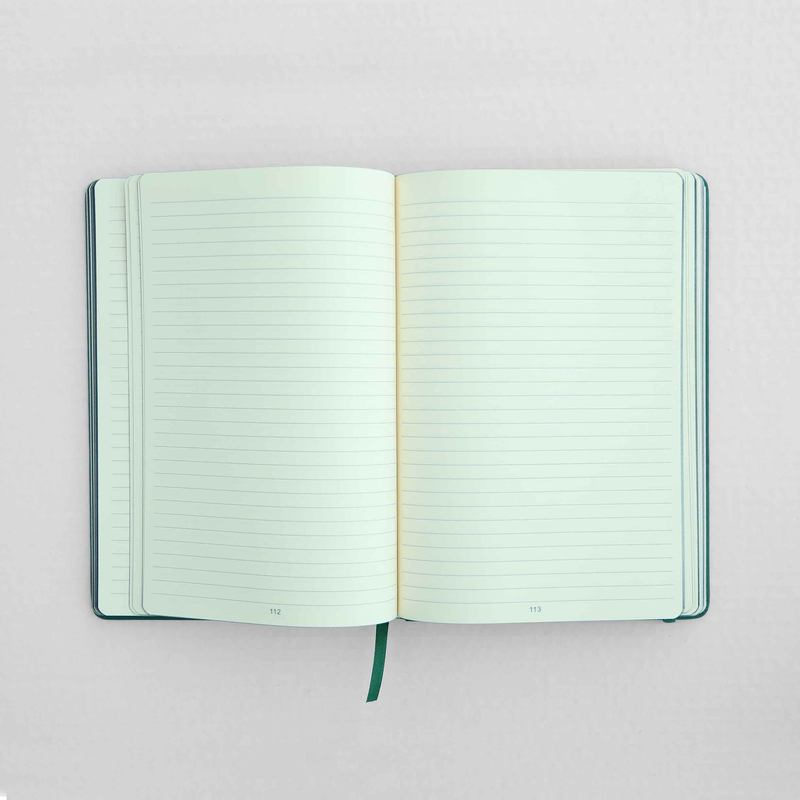 The book also includes a built-in document pocket inside the back cover, which contains an additional soft-cover exercise jotter with plain pages and a complimentary light green cover. The book's pages have a glossy black edging to give it a sleek look side-on. The notebook measures 234mm x 160mm - slightly larger than A5. Made specially for the BFI by Curious Book Co.